Microsoft has announced that Windows 10 will be available July 29 in 190 countries. According to the technology giant, Windows 10 will help people be more productive with a new, natural operating experience. Available as a free upgrade to users with Windows 7 and Windows 8.1, the new operating system will bring back favourites, such as the Start menu, while also rolling out new innovations such as pinned applications. Windows 10 includes Windows Hello, Microsoft Passport and Windows Defender for anti-malware protection. 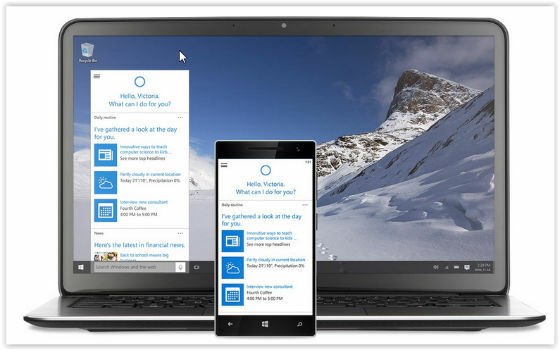 Windows 10 offers Cortana, a personal digital assistant, designed to assist across all devices. Cortana learns individual preferences to provide recommendations, fast access to information and reminders via talking or typing. As the mobile revolution continues, Windows 10 is optimised for both keyboard and touch, and will work across all Windows devices and applications. Windows 10 for other devices will be available later this year.